Growing squash can be delightful or depressing. The plants grow rapidly and produce abundantly—until they seem to collapse overnight. If that’s happened to you, don’t be discouraged. Follow these tips to ensure a good harvest. All squash require rich, well-drained soil. Obtain a soil test from your county extension service and determine from the report what nutrients or lime your soil requires. Amend the soil according to the test report’s instructions (more fertilizer is not better, and can be detrimental) and add plenty of compost to get your plants off to a good start. It’s a fact of gardening life: Once your squash plants are in the ground, you’ll be playing defense against two pests: squash bugs and squash vine borers. Squash bugs camp out on the undersides of leaves and plant their eggs in clusters between the leaf veins. Inspect the plant’s leaves every couple of days, and rub off and crush the eggs when you find them. 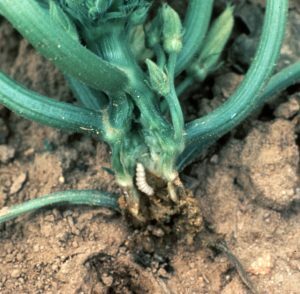 Squash vine borers are the larval pests that cause your plants to collapse overnight. 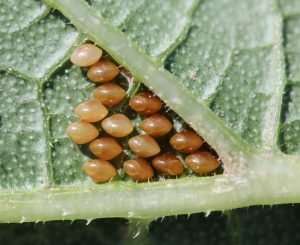 In May, adult moths lay eggs on the stems of plants, which hatch in about a week. The larvae, which look like fat white caterpillars with brown heads, burrow into the stem within hours of hatching. They feed on the vascular tissue that transports water and nutrients through the plant. Borer excrement, called frass, looks like wet sawdust and is a telltale sign of infestation. Choose pest resistant varieties when you purchase your seeds or transplants. Butternut-type squash (Cucurbita moschata) are most resistant to squash vine borers. Summer squash, including zucchini, and long-keeping winter squash (Cucurbita pepo) are most susceptible. Use this knowledge to help select the varieties you want to grow, and to inform your pest-monitoring strategy. ‘Tromboncino’ (C. moschata ‘Tromboncino’) is a summer squash that matures in 80 days and is resistant to vine borers. Additionally, the fruits are tender and can be harvested and eaten at 6 to 10 inches. Let them mature and cure for winter storing. ‘Waltham Butternut’ is a classic variety of winter squash that performs well in our area. Try ‘Cornell’s Bush Butternut’ if you need to grow a tasty crop in a smaller space. Check the Digging Durham Seed Library, which may have seeds of these open-pollinated varieties. One way to get the better of pests is to plant early so that crops mature before infestations get out of hand. Since squash seeds won’t grow well in cool soil, to get a jump on the season, cover the soil with black plastic to increase soil temperatures to 60 degrees at four inches deep. Remove the plastic, plant the seed then cover the ground with a thick layer of mulch instead of the plastic. If you plant early, keep an eye on the weather forecast and cover young plants when nights are cool or frost is forecast. 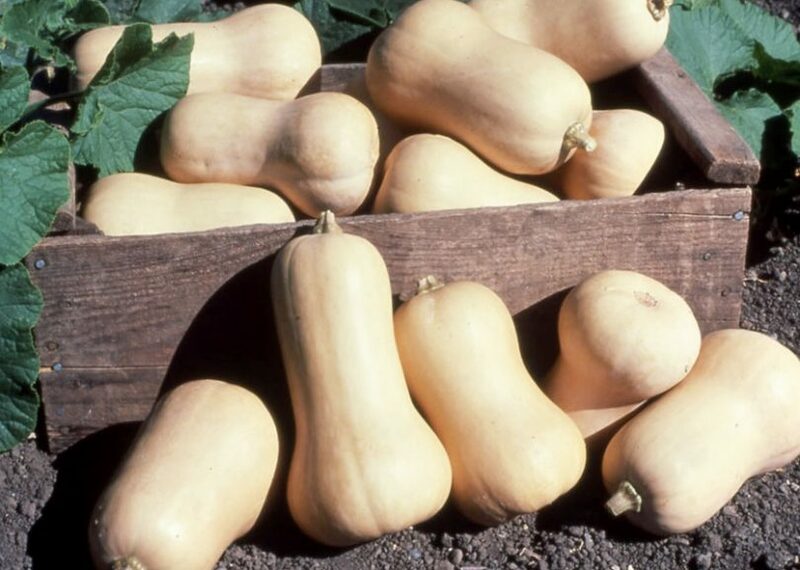 Plan a second sowing of squash in mid-July, timed so the fruits will mature just at the first frost in your area. Remember to rotate your crops. Squash vine borer larvae or pupae may be in the soil in the location where you planted squash last year. Plant in a new spot, and don’t replant squash in the same area for three years. When you harvest your first crop, immediately till or turn under your crop debris. This practice disrupts larvae and pupae in the soil and can prevent buildup of pests in your garden, particularly for your succession plantings. Use row covers to exclude adult insects from laying eggs on your new plantings. Remove the row cover when the first female flowers appear, or hand-pollinate the squash yourself. Good fruit formation depends on a steady supply of water. Heavy mulching will retain soil moisture and suppress weeds, but you’ll need to replenish your mulch as it decomposes. Remember to harvest plants when they are young for best taste and to keep the plant producing throughout the season.